New Tenant Resources section helps tenants in Chicago and Evanston understand key issues such as breaking a lease in Chicago, how to sue a landlord without a lawyer, and more. The new section is free, accessible 24 hours a day, and no membership or sign-in is required. Illinois tenants lawyer Mark Silverman launches a Tenant Resources section on his firm’s website to help tenants in Chicago and Evanston know their rights and protect their interests. The law doesn’t have to be complicated, and tenants who are confused about issues like breaking a lease in Chicago shouldn’t feel intimidated by landlords who may have more legal information, or may be represented by a law firm. Illinois tenants lawyer Mark Silverman, principal of Chicago-based Mark Silverman Law Office, Ltd., has launched a Tenant Resources section on his firm’s website to help tenants in Chicago and Evanston know their rights and protect their interests. The new tenants resource section offers helpful, easy-to-read guidance on breaking a lease in Chicago, how to sue a landlord without a lawyer, Illinois security deposit interest rates, and much more. Plus, the section features updates on Illinois Appellate Court rulings, and other important firm news. Tenants can access Mark Silverman Law Office’s new Tenant Resources section at http://www.depositlaw.com/links.htm. Access to the section is free, accessible 24 hours a day, and no membership or sign-in is required. For more information or media inquiries, contact Mark Silverman at (312) 775-1015 or mark@depositlaw.com. 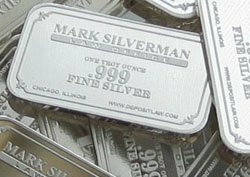 About Mark Silverman Law Office Ltd.
Mark Silverman Law Office Ltd. is a law firm in the Loop in Chicago. For more than five years, the firm has represented tenants in disputes against landlords. The firm also provides services for clients in additional areas, like workers compensation, premises liability (accidents at the rented premises), as well as declaratory judgment actions and contract litigation. Since 2007, the firm has taken almost 10 cases to the appellate court for renters in Evanston in Chicago, resulting in several important decisions that help tenants statewide. The firm has also resolved more than 50 matters by disputed trial or arbitration hearing. Mr. Silverman’s assistant, Bharinee, is fluent in Thai and English, and has an accounting background, as well as experience as an attorney in Bangkok. Learn more at http://www.depositlaw.com/.